I love to find inspiration online and then go and try to find something just like it or similar at a thrift store. Or find the items and material needed to DIY it. Then you have the opportunity to give it that extra personal touch, which I love! Here are four examples that I've found on Urban Outfitters that you can easily make yourself while saving a buck load of cash hehe. 1. The place where you will find the cheapest quartz is Ebay! And 9 our of 10 times you can buy it in wholesale if you just look hard enough and it will still be cheap. The rest of the material you will most likely find at your local craft store or even your local dollar store if you have one of those. 2. I am a little obsessed with metallic colors, ain't gonna lie and these gold planters are so adorable. If you want the exact shape as in the photo I believe a regular tin can will do the trick, that you spray paint with gold paint. Or you can just grab one of your old planters and do the same. If you don't have that then hit the closest thrift store! They usually have a large amount of cheap planters in different sizes. 3. Find a fabric that can handle paint in white (or any color/pattern that you want) which you can find at a craft store or a fabric store. If you're lucky you can probably find it at a thrift store as well. Get your hands on black (or once again whatever color your want) fabric paint! Look up tips & tricks on how to do letter art, find the way you think seems easiest and have fun. Such cute crafts! 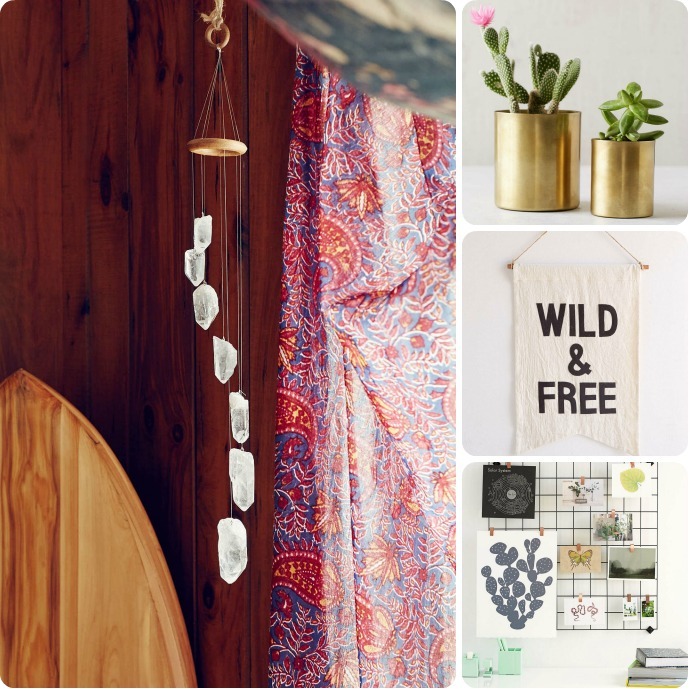 I've been meaning to get some DIY wall art done, and I love the "wild & free" inspiration.